If you are a NON-GCDA Member who has been invited by a Board member or Kick-off attendee to join them, this is YOUR ticket! Currently enrolled students. Please bring student ID to event. Join us for GCDA's Fall 2017 Kickoff! "Career Development through Story Telling - The Career Construction Interview Assessment Tool"
Friday, September 22 | 8:30 a.m. - 11:00 a.m.
Attendees will earn 1.5 CEUs! The Career Construction Interview (CCI), created by Dr. Mark Savickas, is a powerful qualitative career assessment tool that encourages clients to find their own meaning through the construction of their career stories, engage more fully in the career development process, and enter into a love for lifelong learning (Maree, 2013, Savickas, 2011). In this GCDA session, participants will be introduced to the CCI, experience the assessment personally, learn about how to interpret the assessment and create a life script, and have tools to further explore the utilization of this assessment into their own practices. Suzanne currently serves as the Assistant Director for Marketing and Career Advisor for the College of Arts + Architecture at the University of North Carolina at Charlotte’s Career Center. Prior to working at UNCC, Suzanne worked as the Career Consultant to Undecided, Fine Arts, Social Sciences and Ecology students at the University of Georgia. 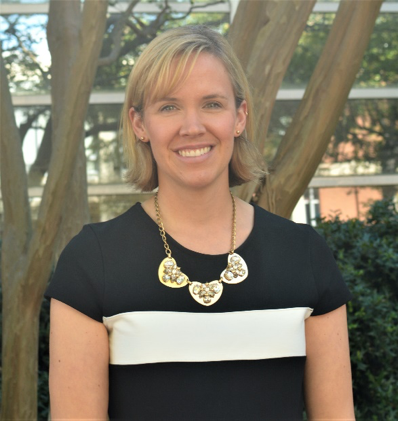 During her work in career services, Suzanne earned her Doctorate of Philosophy in Counseling and Student Personnel Services from the UGA. Prior to this, she also completed her Masters in School Counseling from Liberty University and her Bachelor of Arts in French from Queens University of Charlotte. For her doctoral dissertation, Suzanne directed her research toward the use of the Career Construction Interview with freshmen, undecided college students. Over the past few years, she has had the opportunity to present the CCI to counseling masters’ degree classes, full-time career counselors, and to a variety of professionals at the National Career Development Association (NCDA). She is passionate about this career assessment tool and enjoys sharing it with other career development professionals who are considering implementing it into their practices.